Today I found myself a job … well, that is until I get a ‘real’ job. 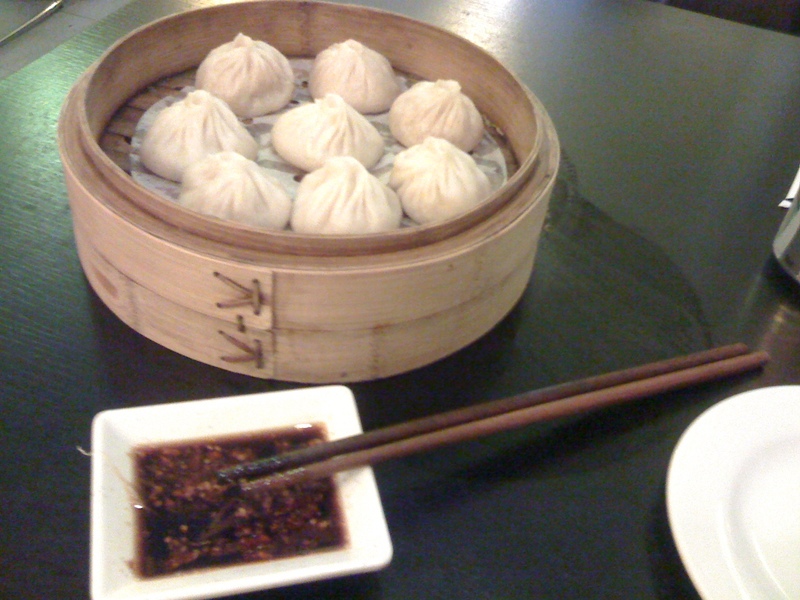 I’ve employed myself on a part-time basis, to eat my way around the restaurants of Beijing. I can’t think of a better way to burn time, can you? In the last week, we’ve eaten in a few restaurants of varying cuisines; parisienne vietnamese fusion (YUM! ), cantonese, american, mediterranean and peruvian. Yes, we’ve eaten out a bit :) In short, the food here is outstanding which has really shocked me. The latest jaunt to Korea scarred me, so I had a few pre-conceived ideas. So every time I eat a meal worth noting, I’m going to post it here with pics and my review (for what it’s worth). I’m hopeful that the only thing that will expand through all of this, is the blog and not my waistline – I do still need to fit into my current pants. I saw this little resto last night as frenchy and I were walking to dinner. It looked like a teeny little place from the outside, but once inside, it’s quite roomy and offers private rooms for the more intimate dining experience. The place was packed with locals, which is a pretty sure sign the food is good, which is something to always look out for. One thing I’m coming across quite a bit is the ordering system in some of the lunch restaurants. It’s all table service, none of this ‘order at the counter’ gear. You’re given a printed menu and a pencil, with the menu written in chinese and english translation, which is a bit of a bonus. You then select what you want including beverages. The waiting staff then pop past, collect and then you pay. Too easy! This may not be a new concept for some, but to me, this was a flavour sensation. The soup just bursts out of those little things and hit your taste buds like a tsunami. Absolutely flippin delicious! Chilli sauce is optional and you make it up yourself. They deliver you the paste and the soy sauce and you mix it to your liking. Being a chilli fanatic, I took a full spoon of chilli and gave it a good mix. Now peeps can vouch for me when I say, I can tolerate my chilli. Nevertheless, I will be going back there again for more dumpling action soon, not only because they were sensational, but very affordable – these little beauties cost 22RMB, which is approx $3.80AUD Bargain!